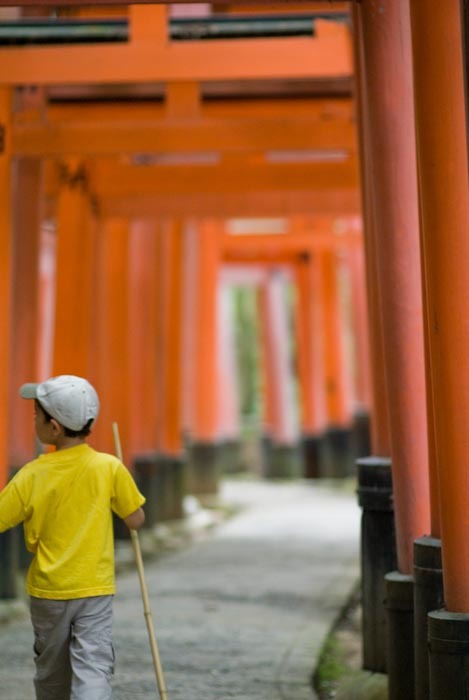 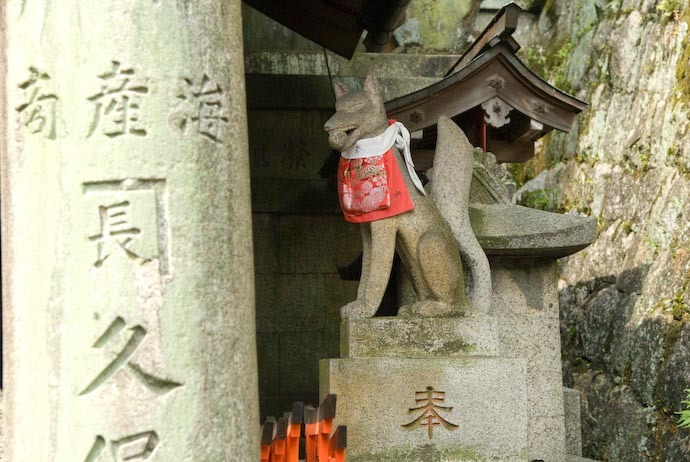 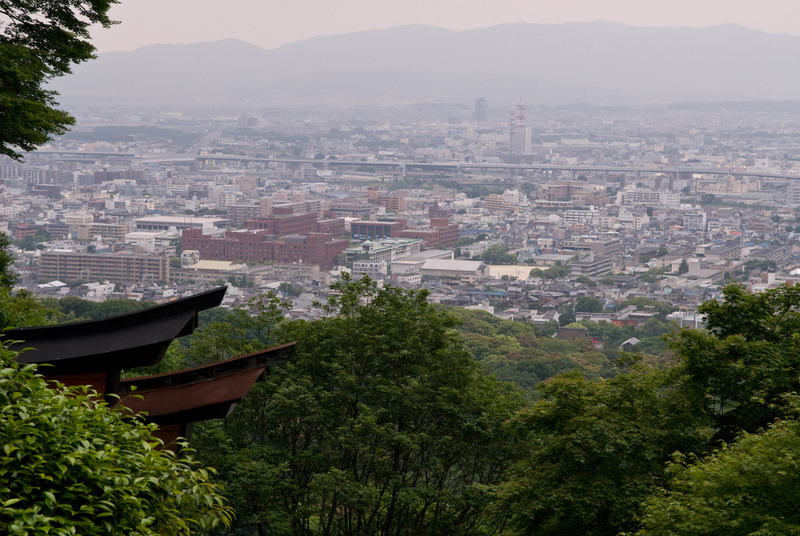 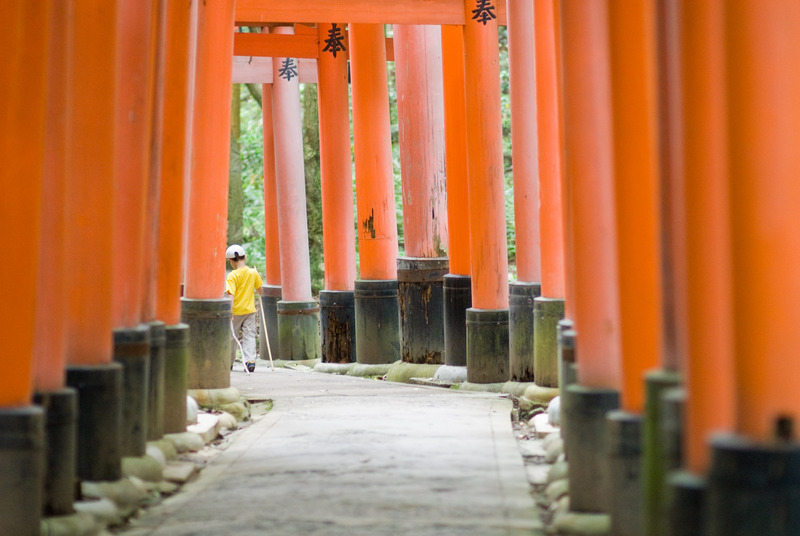 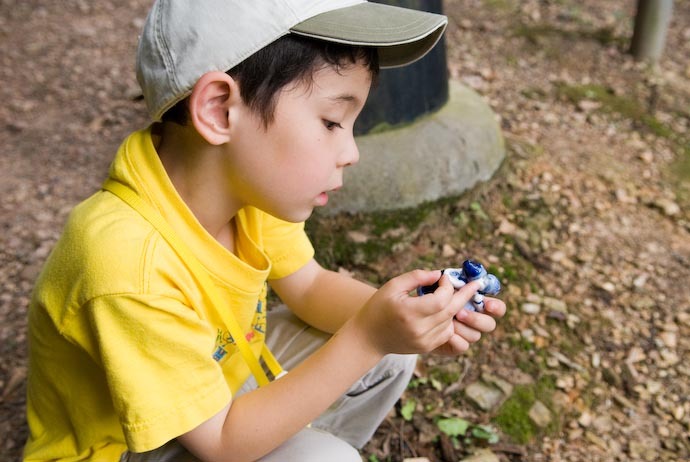 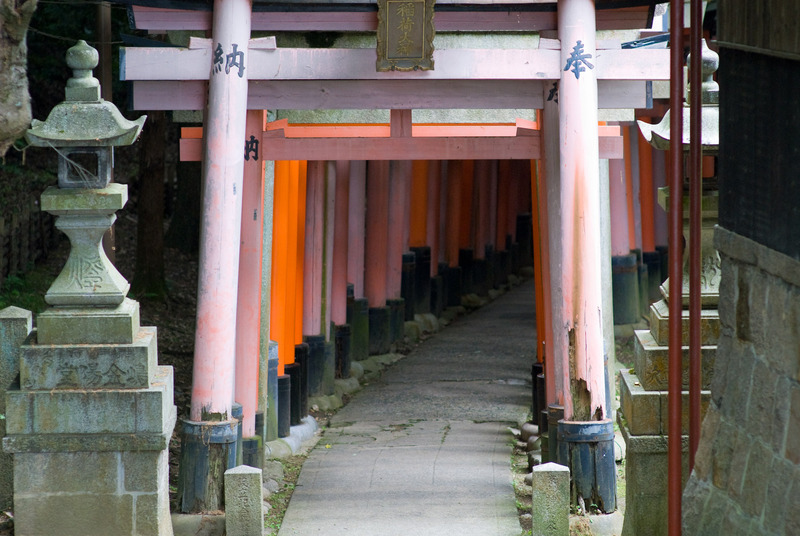 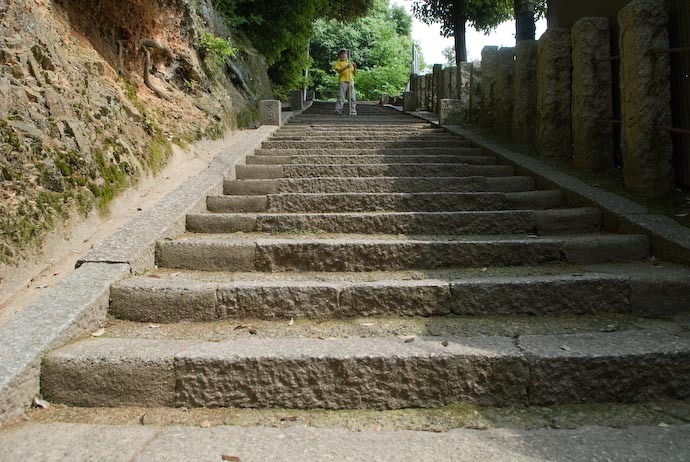 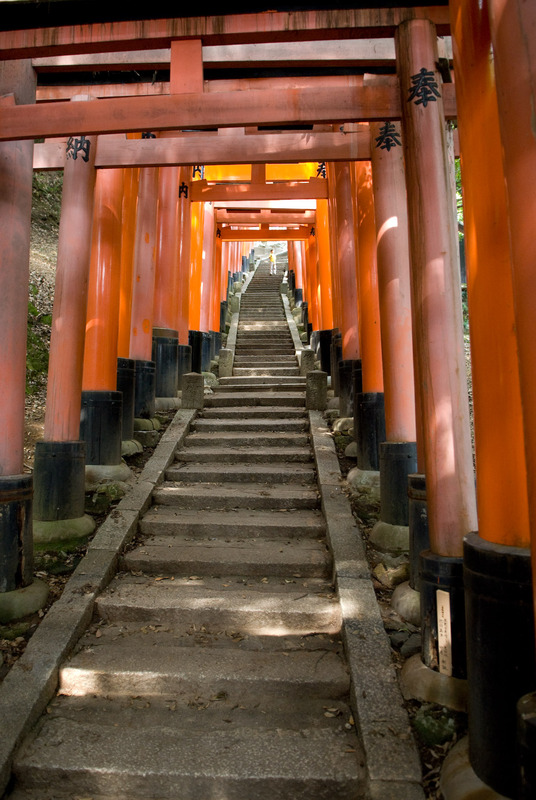 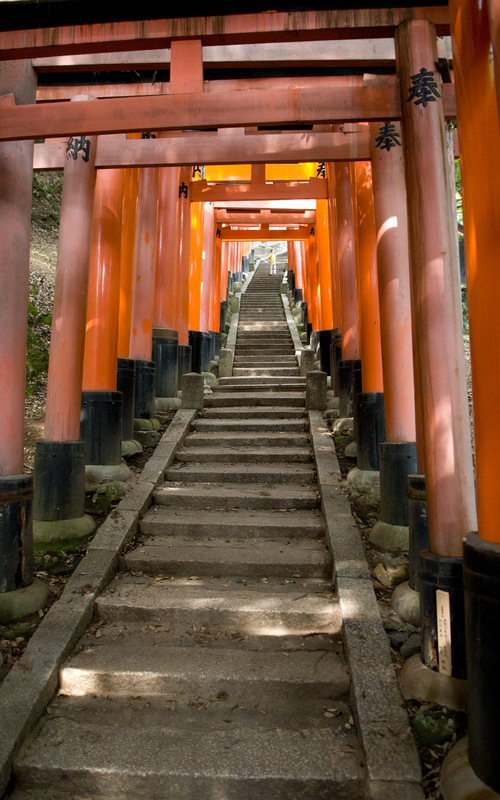 Jeffrey Friedl's Blog » Fushimi Inari Shrine: Foxes, Treasure, and More…. 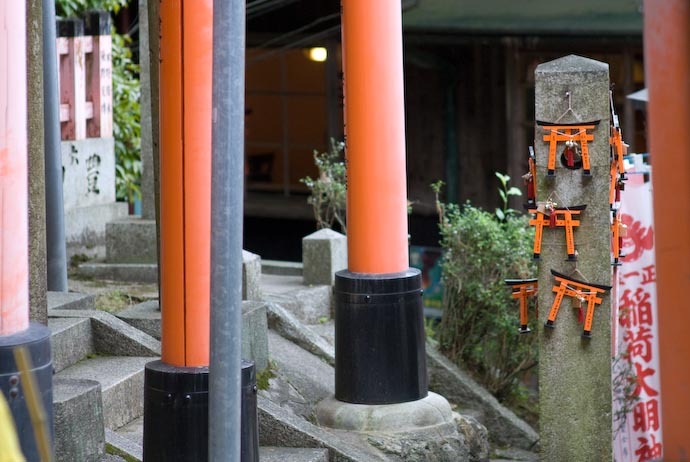 Fushimi Inari Shrine: Foxes, Treasure, and More…. We stopped for a juice, and to chat with the lady. 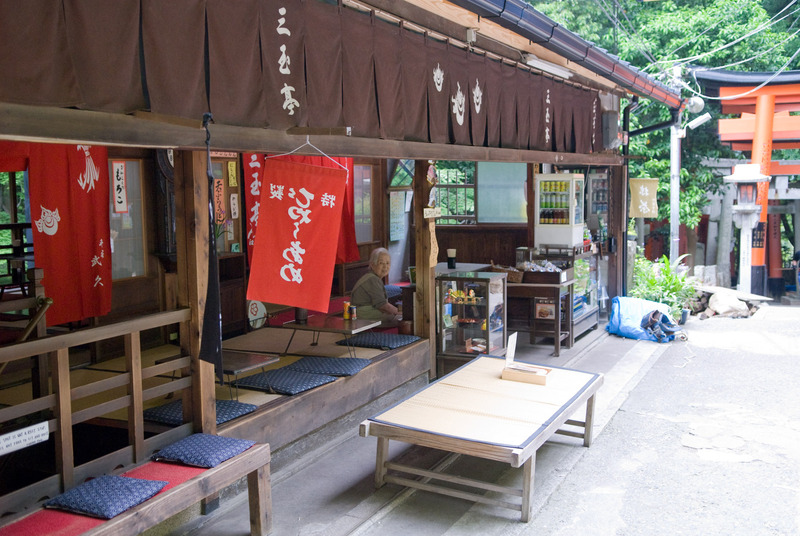 She was 86, and the fourth generation of her family to own/run the little restaurant. 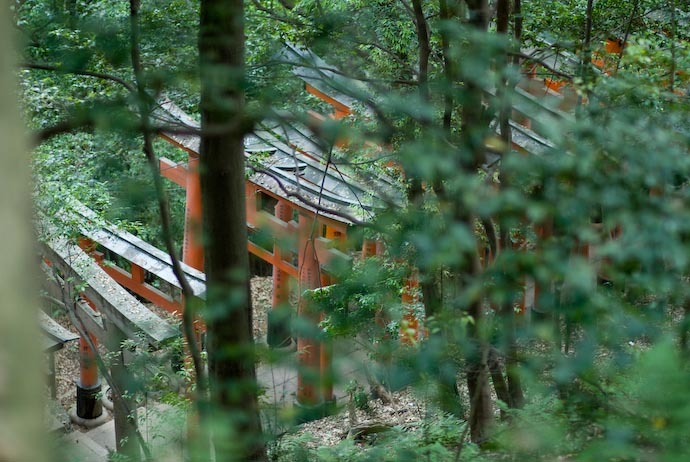 The shrine owns the land, but for whatever reason, the family has these buildings. The building across the path was her house; she had been born there. On the way to the shrine, we'd stopped by a store and picked up a couple of Hello Kitty keychain figurines, and a small jar of Ramune candies. 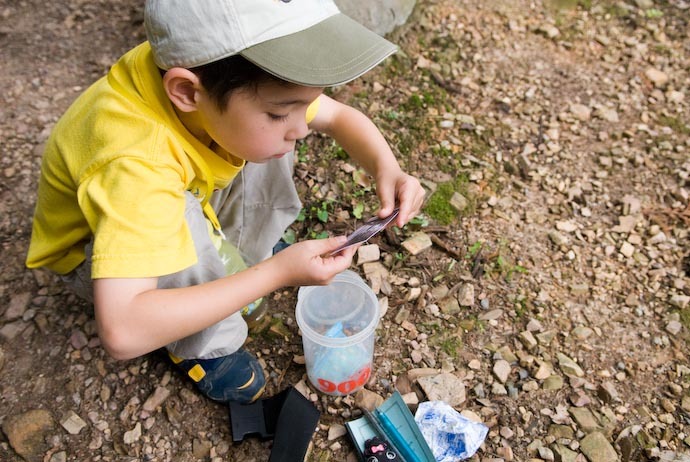 We placed these in the cache, and took back with us a few things from among the small collection inside. Anthony picked a small keychain with a picture of a Chinese vase, and a (pre-Euro) coin from what looks to be a European country. 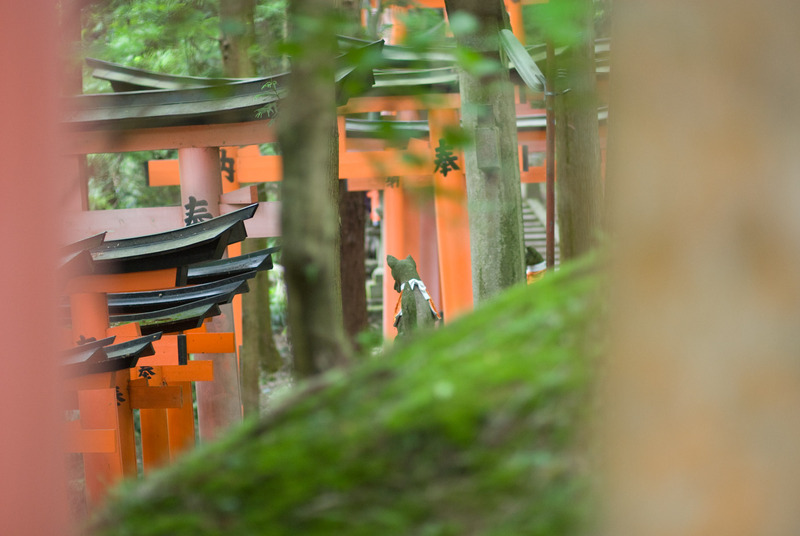 I picked a tiny toy carabiner that I now have clipped to my camera case. 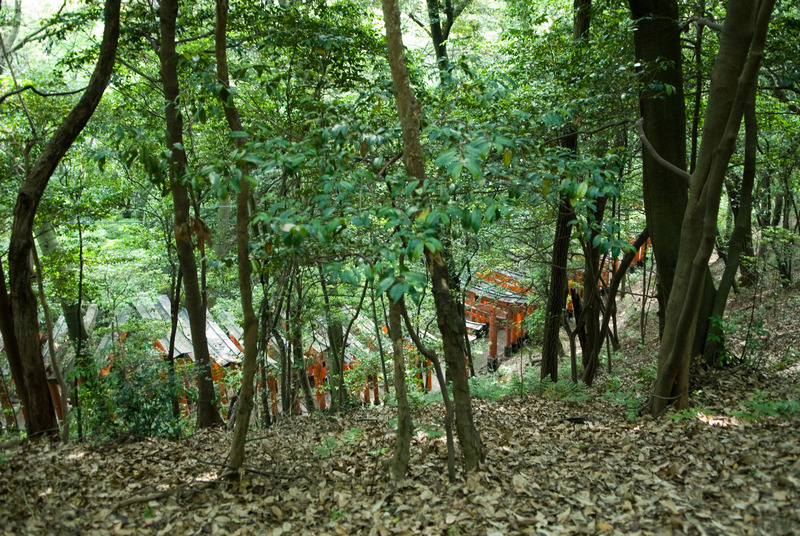 We carefully put everything back, and returned to the main path.